Elray Gaming has announced the launch of its new binary options trading platform, named Golden Matrix Binary. Elray Gaming is more known as a gaming products developer and is the developer of turnkey online gaming and VIP Casino products. However, their newest venture is expected to be successful as they are experienced in providing online interactive platforms. 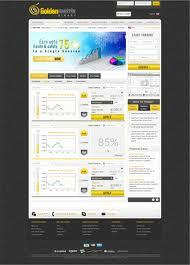 They have a strong team of market and binary options online platform experts assisting them in this venture. During the launch, representatives from the company said that this venture from Elray Gaming was one of the premier choices for binary options trading. They also said that this release enabled the clients of Golden Matrix Binary to trade on a wide range of binary options . The range includes Forex, equities, commodities, precious metals, global indices and a few other globally marketed trading options. They pointed out to the fact that since most of the markets were open for trading round the clock, clients of GMB had access to the global markets. They rounded off the announcement by saying that their main aim was to facilitate maximum number of chances for their clients to trade, and stressed that they will continue to do so in the future as well. Golden Matrix Binary will be subjected to regulation by Securities and Exchange Commission of Cyprus (CySec), its strategic technology partner. Through this association, GBM is committed to providing the best possible options in terms of features and the other processes, which are involved in online binary options trading. GBM has made use of all the newest advancements while developing their binary options platform, and you will notice the difference once you start using it. Along with the binary options platform, GMB is also giving its clients a host of other associated facilities. They are offering the latest news related to binary options, tips and tricks from expert traders, and also a live commentary on how the market is faring. If you become a valued customer (VIP Member), you will also be provided with its VIP services, details of which are not yet available.